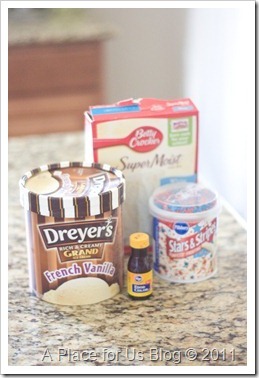 Frosting, Ice Cream and Cake! 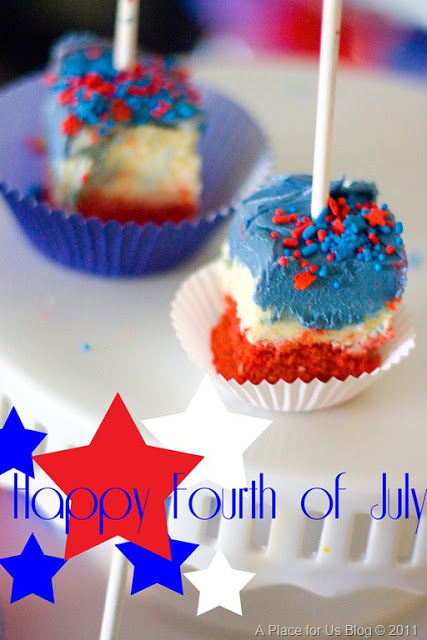 This recipe will work great for Memorial Day of the Fourth of July! 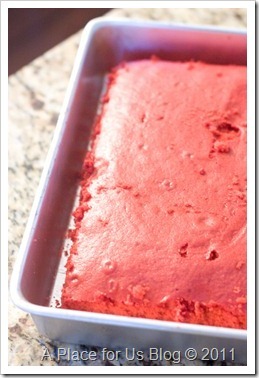 Follow the directions according to the box and then add red food coloring! I let my mix sit in the fridge for a bit to let the color get darker. Bake the cake as directed in a rectangle 13×9! I used a square shaped pan. 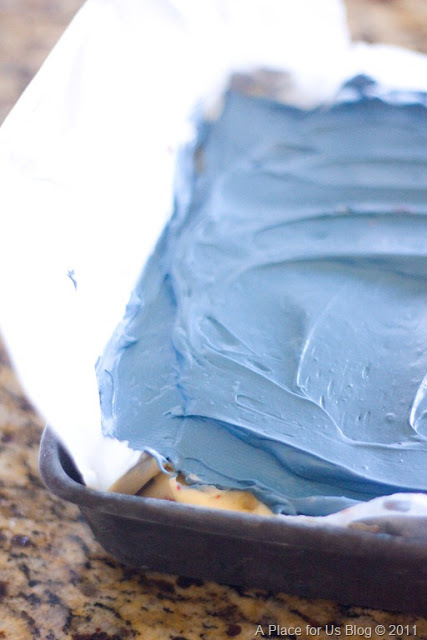 After the cake cools, remove it from the pan and wrap the cooled cake in saran wrap. Let the cake freeze for a 2-3 hours or overnight. 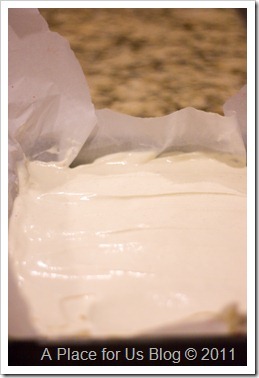 Use the same cake pan and wrapped in parchment paper. leaving about a 1 inch overhang. 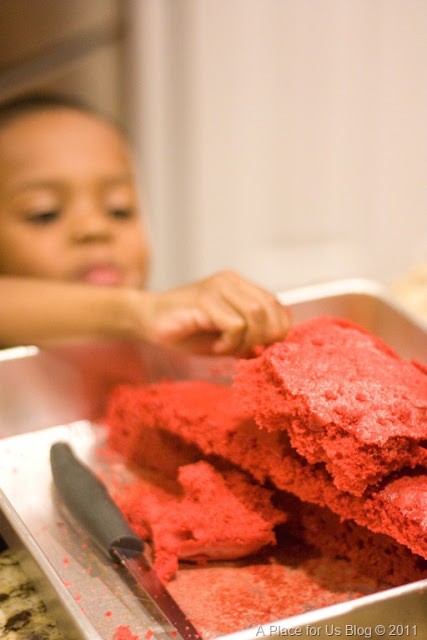 Remove the cake from the saran wrap and level it out by cutting the top off …you should have scraps and little children may follow:0) Set the leveled cake in the pan of parchment paper. Next empty a tub of vanilla ice cream into your Kitchen Aid mixer. 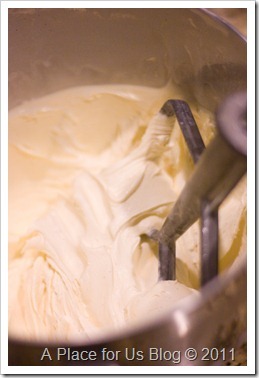 With the paddle attachment starting on low, whip the ice cream to a creamy consistency. Spread the whipped ice cream over the frozen cake. Freeze again for another 15 minutes or until firm. 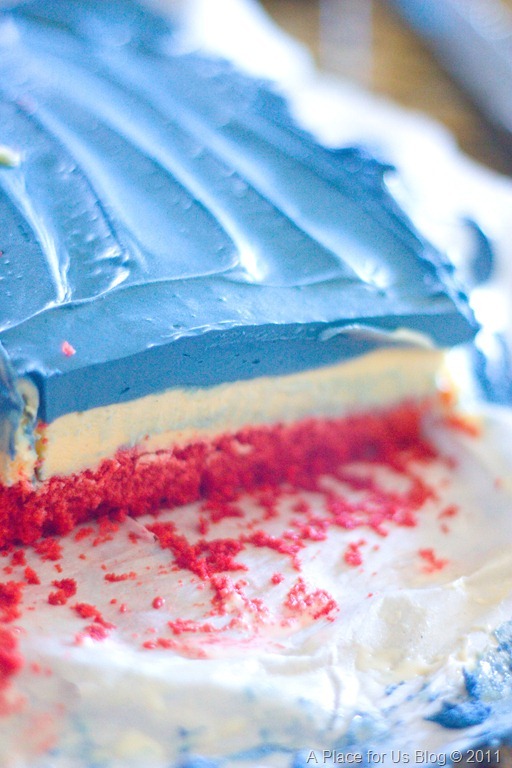 Add blue food coloring to your choice of frosting. Again to intensify the color, let the color sit. Spread the icing on the layer of ice cream. Refreeze another 2 hours or until it’s ready to serve! After the cake is frozen and firm, SERVE to your guest! I cut mine up in little squares and served them on a stick! One bite is definitely enough if you’re a frosting lover:0) If your not, then a small layer of frosting will make you just as happy! ENJOY! That is so pretty and looks so yummy!! Awesome tutorial on the process. I’m hungry now! 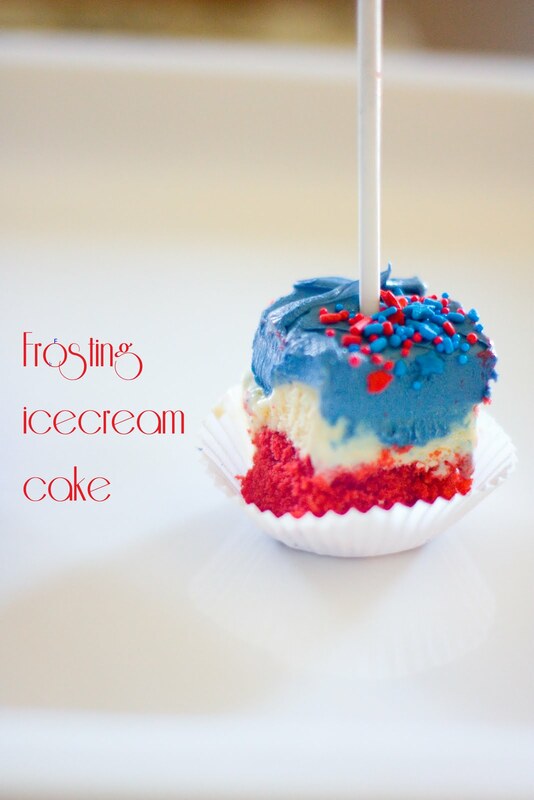 It looks so delicious, Destiny, and very patriotic! Great idea! Good luck with your “30 Before 30.” It’s like a B-day Bucket List!